The end of the line seems near for the controversial former COO of the South African public broadcaster, SABC. After a call to censor broadcating of public protests, accusations of handing out bonuses to employees and playing a part in SABC's reported R500 million, Hlaudi Matsoeneng has a target on his back; and it's only a matter of time until he is removed from the broacaster completely. The board was summoned to parliament by ANC Chief Whip Jackson Mthembu for their unlawful appointment of Matsoeneng to the position as group executive of corporate affairs. SABC board chairman Mbulaheni Obert Maguvhe tried his best to spin the matter and convince parliament that Hlaudi was still an employee of the SABC; a claim that fell on deaf ears. During the “dog show” of a presentation, as described by Democratic Alliance’s James Selfe, two board members, Krish Naidoo and then later Vusi Mavuso, resigned from the board on the spot. 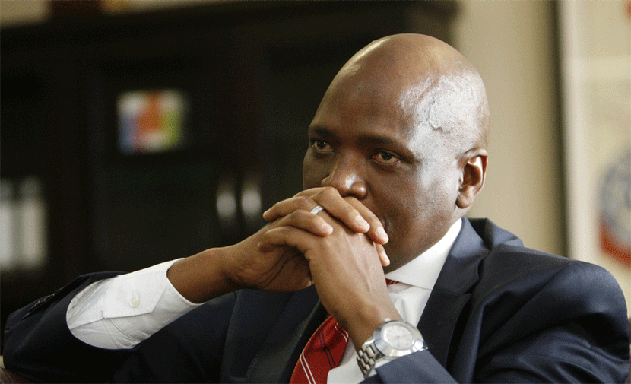 By the end of the session the board had been dissolved and Hlaudi lost his last lifeline in his position of power. It is now clear that the SABC wants him out and hopefully, this will mean the end of the tyranny of Hlaudi Matsoeneng. Yet, after being unlawfully shifted to Executive of Corporate Affairs, Hlaudi Matsoeneng began telling employees that he is now in charge of the radio sector at SABC and that they should be reporting to him. According to News24, it was claimed that he had said "Radio is now mine" to some of the SABC staff. He had called a meeting where he announced that leadership had been shuffled and he had been placed in Leslie Ntoloko's position, who had resigned in September. Matsoeneng is scampering around trying to find a way to maintain any position within the SABC, but it's clear the people have had enough. After years of misconduct and controversial expenditure from the former COO, don't you think it's about time he packed his bags and left the public broadcaster for good?